Hey what's up! 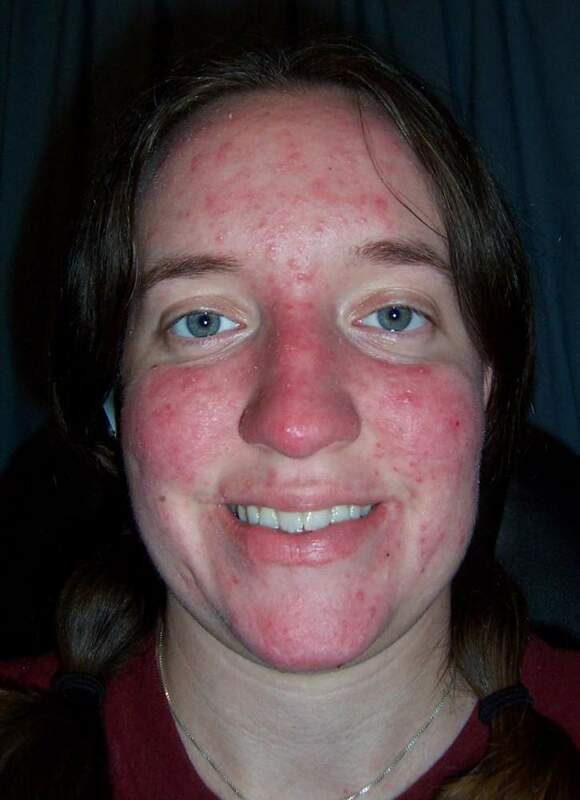 I just wanted to ask you if you currently have rosacea? I think I might suffer from a moderate case of rosacea because the skin on my face is always quite a bit more red than my neck and chest, similar to yours. I haven't found anything that helps, its very frustrating. Keep up with your progress on accutane, good luck! lol, I'm sorry, but I just have to laugh because you're not the first person to ask me that. Hey I have similar skin tone right now and am wondering HOW TO FIX THIS MESS? I'm really depressed! ummm...maybe accutane? Its helping me at least... Everyone keeps commenting on it randomly at work, at how much better its looking. ..
Looks like Rosecea because it is red in the most common areas of that condition - cheeks, nose and chin. Careful, because I hear high dose Accutane can cause Rosecea where as low dose 10mg daily or so can help it a lot. Does the redness flare or worsen after exercise, hot showers or wine/alcohol? Does it ever feel tight, itchy or like it is burning? I've heard that high dosages can worsen it as well.